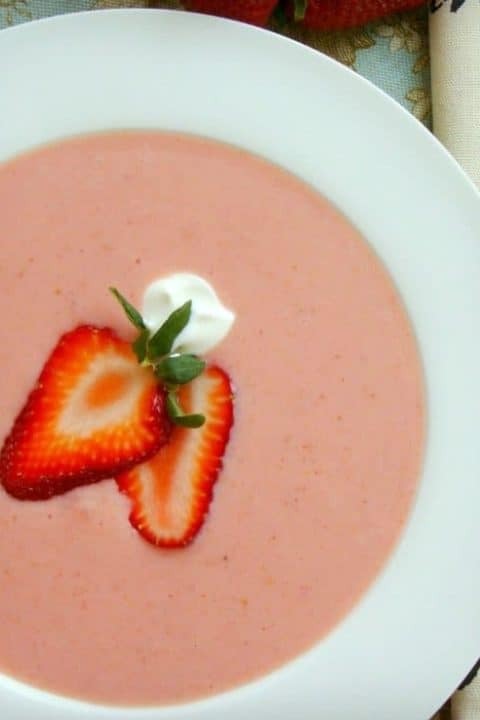 I don’t know if my grandmother ever served Strawberry Soup, but she was a sophisticated entertainer with the ladies in our family. At least that’s how I remember her. 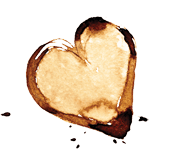 She was also known for serving triple decker tea sandwiches of olive tapenade, egg salad and shrimp salad. And wouldn’t strawberry soup just be perfect with that? I’m sure she would have thought so. 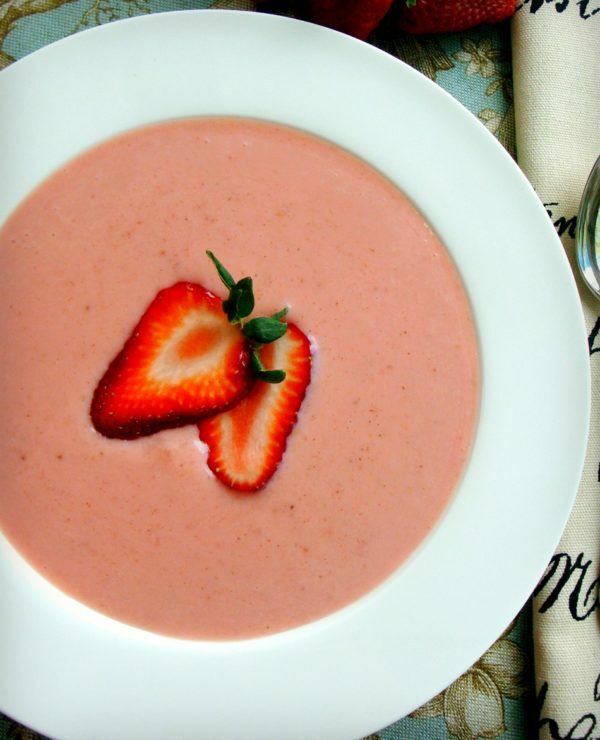 Strawberry soup is one of those perfect summer dishes that goes with Mother’s Day, wedding showers, girlfriend luncheons and sophistication. So delicious, you expect the sweet, juicy strawberry flavor. But you won’t expect the subtle cinnamon and cloves perfectly paired to make this a complex and addicting treat. Compliment this soup with a nice chicken salad sandwich, or a hearty tossed salad. Don’t be surprised if your guests are tempted to just sip straight out of their bowl, because with flavor this delightful, a spoonful at a time just doesn’t cut it. But then that wouldn’t be very sophisticated, would it? This soup is easy to bring together and the taste is truly irresistible and refreshing. Believe it or not, thanks to the hint of cinnamon and cloves, you might even call this a warm weather “comfort” soup. And by the way, don’t worry about this being a favorite just with the ladies. All the men in our family love it so much, they are quick to ask for seconds. The men just may prefer to “drink” theirs out of a mug. Go ahead and make this easy soup to share with the people you love. You will find yourself craving it again and again. I know that’s the way my grandmother would have wanted. Combine the apple juice, 3/4 cup water, sugar, cinnamon and cloves in a small saucepan. Bring to a boil over medium heat and stir occasionally until sugar is dissolved. Remove from the heat and let cool. Place the strawberries and remaining 1/4 cup water in a blender and process until smooth. Pour strawberries into a large bowl. Add the yogurt and cooled juice and spice mixture. Stir well to combine. Chill for at least one hour before serving. 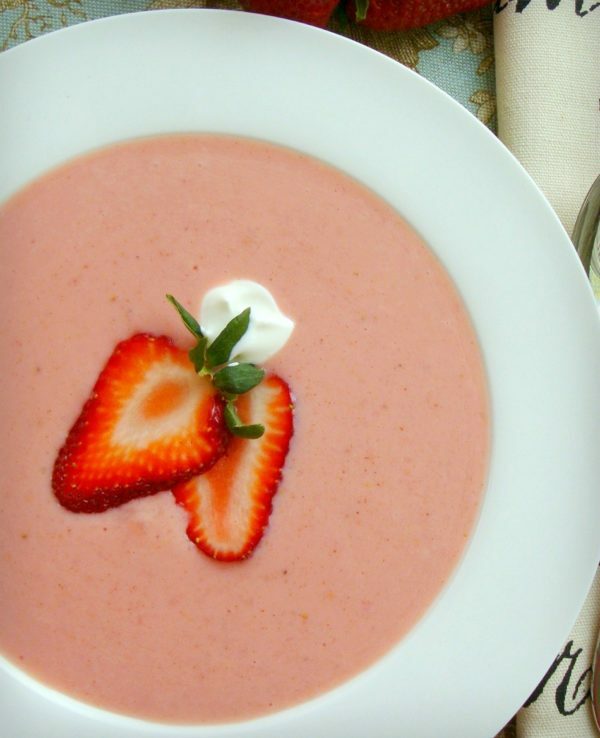 Pour into soup or dessert bowls and garnish with strawberry slices and a small dollop of sour cream, if desired. Adapted from a recipe given to me by my friend, Tiffany. This soup has become my standby. I get so many compliments when I serve it.